“Tourist” is an opportunity for us to pay tribute to California, San Francisco, and all who roam it. 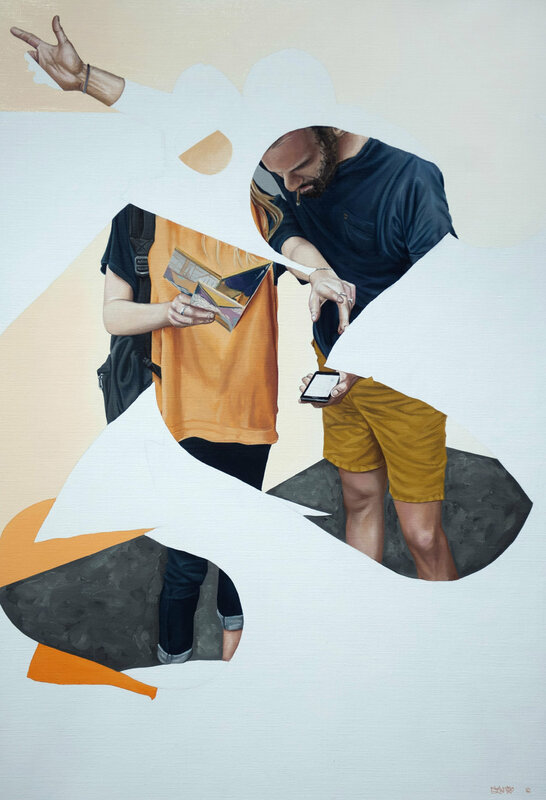 This show allows the viewer to follow graphically the path of the tourist as he navigates the urban jungle that is San Francisco, piece by piece. Using oil paint, Ratur and Sckaro create a city that is hyper surreal and yet uncanny, whimsical in its own way but strong and sharp in its use of color, form, and line. 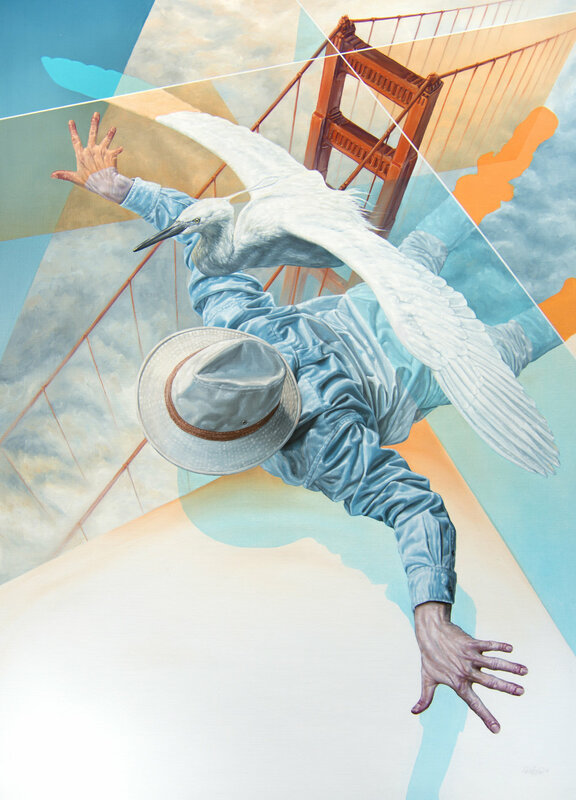 The artists are able to imitate the extreme perspectives and depth of the San Francisco cityscape and the untamed fog which tunnels over our city so often, all in a fresh new way which only the tourist may experience.The brothers offer us a truly poetic journey from the unjaded eyes of the outsider. “Tourist” will be on display until November 10, 2016. For inquiries or catalog requests contact artsales@1amgallery.com. Ratur and Sckaro took after their father who was a graphic designer and photographer. After high school and studying visual communication they quickly gravitated toward graffiti after a chance meeting with a graffiti artist from the nearby town Rouen, Madkow. They later formed the MV3 crew touring France to paint at various festivals and alongside other prominent graffiti crews.